$500 scholarship awarded to an OSCA member in a counseling graduate program who plans to be a school counselor in Oklahoma. Recipient is recognized at our annual Fall conference. 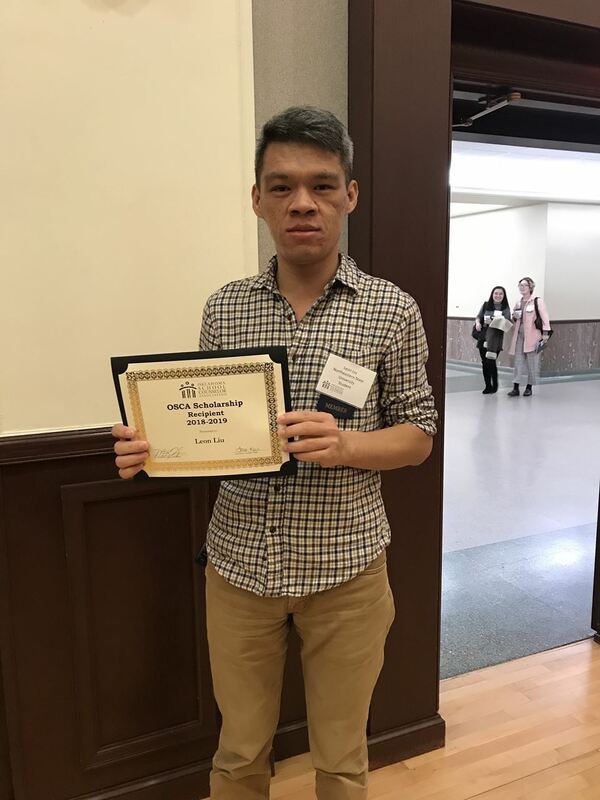 The 2018-2019 recipient of the OSCA Scholarship is Leon Liu, a student at Northeastern State University. Leon is currently a teacher at Jenks Public Schools and is passionate about working with students who do not speak English as their first language. Congratulations Leon! Be a member of the Oklahoma School Counselor Association. Be in a Graduate program in Counseling in the State of Oklahoma. Plan to be a School Counselor in Oklahoma. Attach your resume or vita with 3 professional/personal references. Secure a signature from a university official that you are enrolled in a Graduate degree program in Counseling. Applications must be submitted by October 1st. Announcement of recipient will be made by November 1st. Recipient will be honored at the annual OSCA Fall Conference. A $500 check will be paid to the Bursars’ Office of the recipient’s attending college.